Circles from rectangular building blocks? Am I crazy? 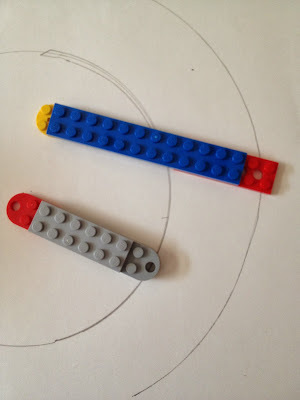 No, I did not give the kids the task of creating circles from Legos, but we did create tools from Legos to make circles! The bricks pictured above are the ones we found in our collection that worked the best, but sort through yours and see what you can find. Our favorite compass consisted of a long rectangular flat block with a half circle piece at each end (the kind with the holes). 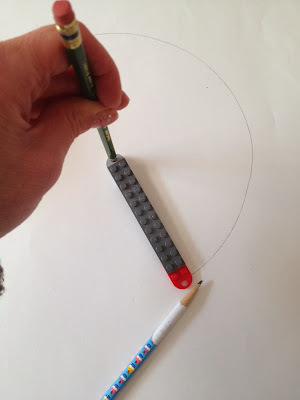 To make a circle, secure the compass at one end with a sharp pencil, then use a second pencil through the other hole to trace your arc. It helps if you tape the paper down first or have somebody hold it. Flat pieces that have holes in the center also work well. The circular piece needs a very sharp pencil point as only a small portion shows. The kids experimented with different sized pieces to make smaller and larger circles. We discussed pi and they measured diameter and radius, as well as calculating circumference. 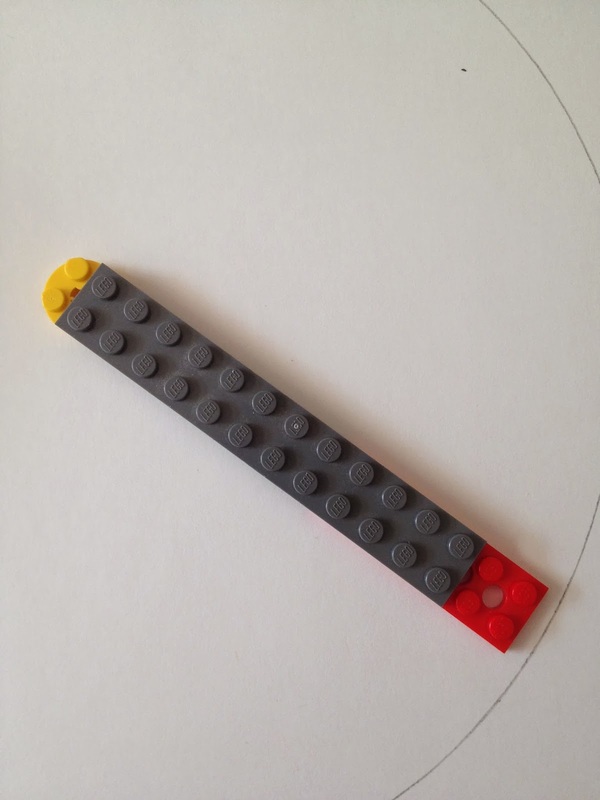 Who said Legos can't make circles?